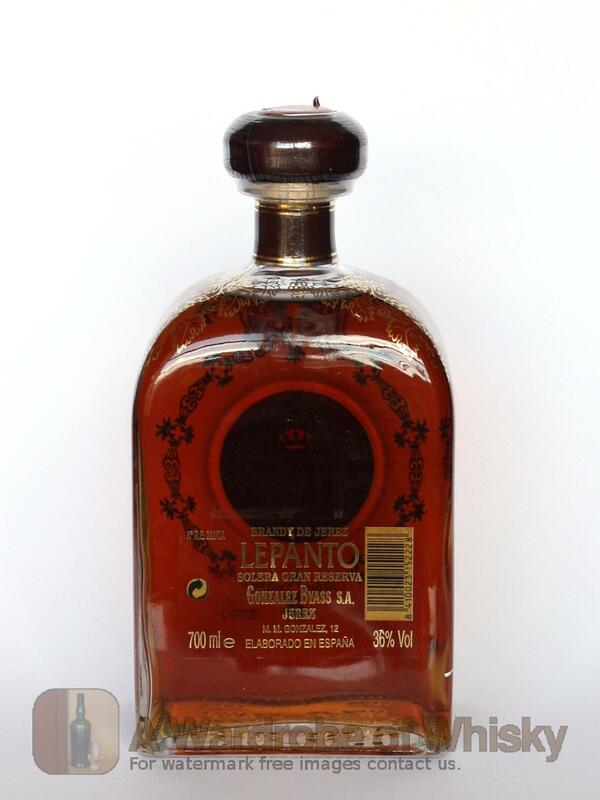 Produced from the distillation from carefully selected grapes, this exceptional Solera Gran Reserva Brandy has been aged in American Oak barrels, using the traditional ageing system, which have previously contained one of our best Sherry Wines, Tio Pepe. 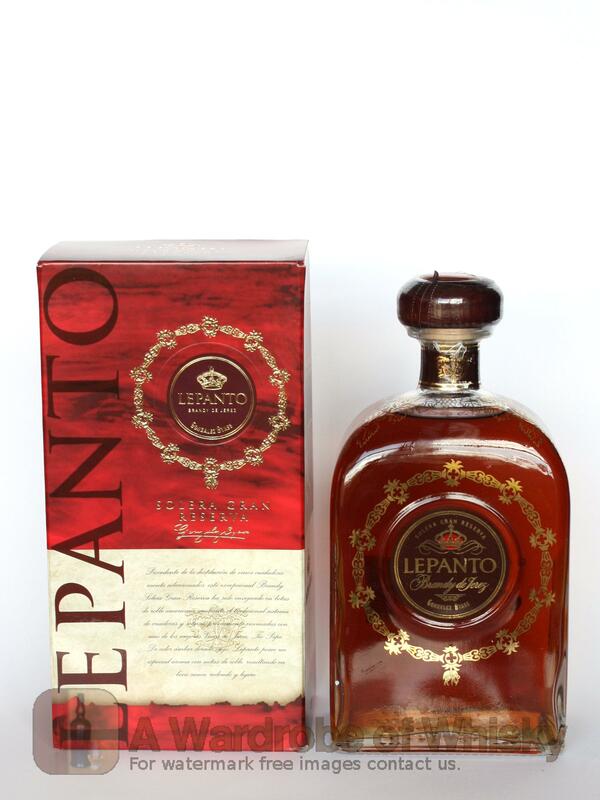 With a golden amber colour, Lepanto has a special bouquet of aromas with traces of oak, which gives a smooth, round and light flavour to the palate. Nose (84): more than average. grapes, floral, vanilla, wood, nuts. Taste (85): smooth, oily, powerful. grapes, floral, wood, spices, vanilla, hazelnuts. Finish (85): very long. vanilla, grapes, wood. 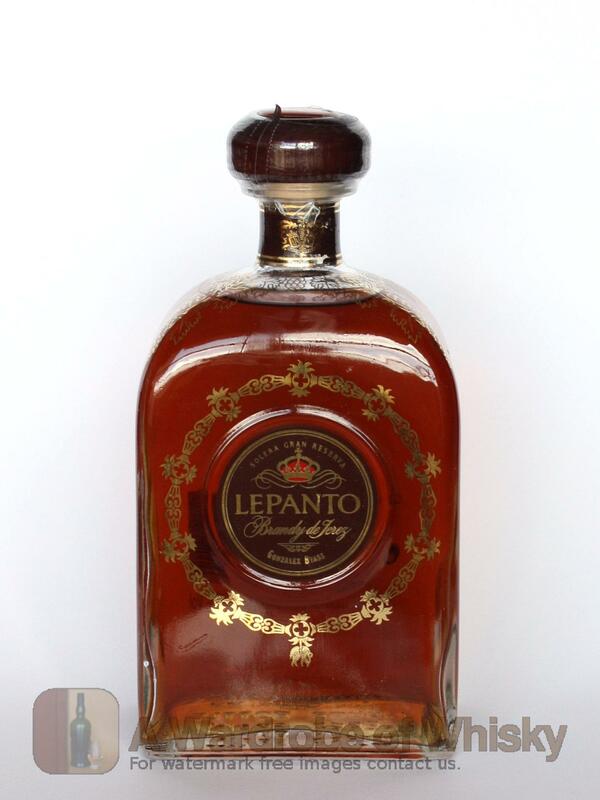 These bottles have been chosen over others because their nose, taste and finish are more similar to Lepanto Brandy than the rest. Go to Whisky-o-matic page to fine tuning other settings.